Your dealership website plays a key role in the sales process. Today, most buyers do online research before they commit to a particular make, model, or dealership. What you need, then, is a website that can be easily found by local search users. What’s more, you need a website that will address buyer queries and coax them to take the next step in their journey—calling you to speak with a sales rep and set up an appointment. So does your website measure up? Does it do what it’s supposed to do? 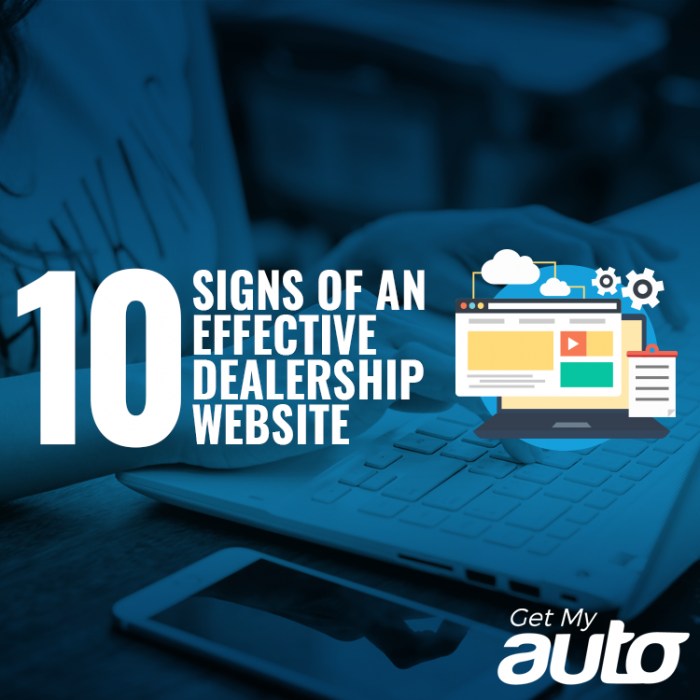 Here’s a checklist you can use to figure it out—10 hallmarks of a truly effective dealership website. Has NAP information on every page. NAP refers to the name, address, and phone number of your dealership. For local SEO success, it’s critical to have this information posted consistently on every page of your website. Is optimized for mobile users. Does your site have responsive design? Is it easy to navigate across all browser and device types? Mobile readiness is one of the most critical factors in any good website. Informs the readers. Your site shouldn’t just be one big ad. It should also educate and empower. One way to make this happen is through a regularly updated dealership blog. Has clear calls to action. Every page of your dealership website should have a clear call to action, encouraging your user to take the next steps in the buying process. Has full meta data. Again, for SEO, you want to have meta titles and meta descriptions that are optimized with the appropriate keywords. Don’t neglect these key pieces of online real estate! Offers readability. Make sure your website content is formatted with section subheadings, bullet points, and plenty of white space, making reading a breeze. Has robust and varied content. In addition to written content, pictures, infographics, and video content can help keep your readers engaged. Focuses on benefits. Why should buyers pick your dealership over other dealerships in your area? That’s a key question for your site to address. Make sure you offer a clear value proposition. Is aimed at conversions. Ultimately, a good dealership website is built to get people calling or visiting your dealership. And if your site isn’t generating those conversions, it’s time to give it an update. That’s where Get My Auto comes in. We can help your dealership build a website that’s made to inform, to enhance your brand—but ultimately to generate more sales! Learn more by reaching out to Get My Auto today.